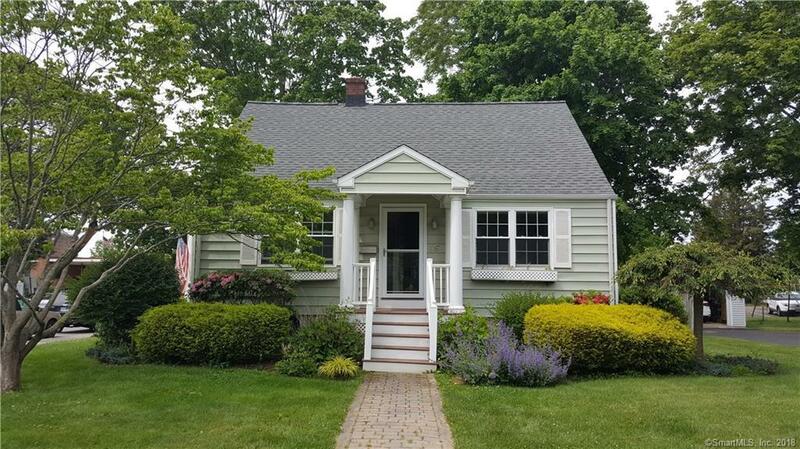 Charming Cape Cod Style Home is situated perfectly as it is conveniently located near Fairfield's Best Beaches, Picturesque Downtown and Train Station. First floor features a updated Kitchen, Dining Room, Living Room with Bay Window, Bedroom/Office and a Large Family Room with French Doors leading to the Back Yard Deck. First Floor also has a Full Bathroom. Second Floor has a Full Bath as well as Two Large Bedrooms with Plenty of Closet Space. This location is within walking distance to the Beaches, Downtown and the Train. Newer mechanicals include Natural Gas Heat, Central Air. Sold "AS IS WHERE IS".